Crystal reviews the Luxury Facial at this gorgeous spa in the southern suburbs. I’ve got a new favourite hangout; tucked away in the often mundane ‘sameness’ of the southern suburbs is Wynberg’s Chelsea Village. Reminiscent of a little English village high street, this quaint little area is jam packed with character. From cute cafés to antique shops and boutique clothing stores, Chelsea is one of my new favourite places to explore. But perhaps my favourite thing about the area is a new beauty find! Hidden in amongst the quiet lanes of Chelsea Village is a little piece of unexpected luxury. 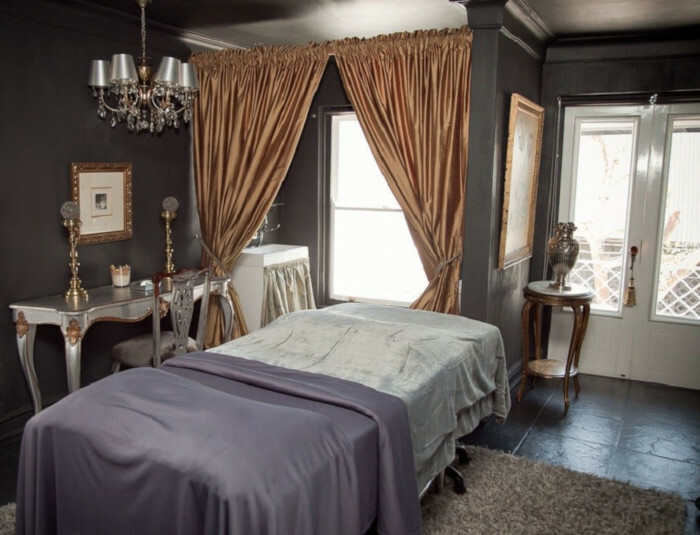 While beauty salons are not uncommon in the suburbs, Chelsea Clinic & Spa takes the beauty salon game to a whole new level with sumptuous decor and a careful attention to detail that one would only expect from a luxury destination spa. Walking through the regal wrought iron gates into the reception area at Chelsea Clinic & Spa brings about an immediate sense of calm. The stone grey and gold colour palette coupled with luxurious details like cool cucumber water on tap, velvet covered armchairs, twinkling chandeliers, and that distinct aromatherapy-soaked spa smell, all come together to create a calming oasis of note — places likes this are pure heaven to highly strung, over stressed people like me. I arrived at Chelsea Spa weary from an overly busy week, more ready for a pampering facial than I have ever been in my life, and left 90-minutes later feeling relaxed and renewed. To be perfectly honest, I was never really a big fan of facials. I just didn’t see the point of paying someone to do something you can do yourself at home. If I wanted someone to wash my face and apply my moisturiser for me I would have chosen to be reincarnated as Mariah Carey, not pay some lady way too much money to wipe down my skin with a warm face cloth. But then I started getting into luxury facials and everything changed — once I had experienced the pure relaxation of a ‘proper’ luxury facial I started thinking of the treatment in the same light as a stress-relieving massage or rejuvenating reflexology. Yes indeed, not all facials are created equal and the purely indulgent 90-minute Luxury Facial at Chelsea Clinic & Spa is proof of that. The beauty of the treatments at Chelsea Spa lies in the little details — it’s the marshmallow-soft heated massage bed dressed with snug fleece blankets, fluffy slippers, beautifully decorated rooms, and results-driven approach to treatments which really help to create an unbeatable blissful atmosphere for their clients. Wrapped up in a warm, cosy cocoon of silky soft blankets, I drifted in and out of consciousness as the therapist worked her magic on my skin. The first part of the facial consists of the usual cleansing, exfoliation,mask, steam, and extractions followed by a high frequency treatment (if needed). Products used for the facial include Dermalogica, Lamelle and Dermafix, but this will all depend on your needs following a skin consultation with your therapist. I was looking to target hydration and irritation so my therapist selected the Dermalogica Ultra Calming range for my treatment. But this facial is about so much more than leaving with ‘clean’ skin, the products are applied with such care and the treatment involves a wonderfully pampering facial, neck and shoulder massage as well as facial waxing (2 areas) or eyebrow and eyelash tinting. I opted for the lash and brow tint coupled with a stress-relieving hand massage, which was a great way to end off 90 minutes of pure bliss. After the treatment my skin was glowing and felt like it had a real pick-me-up. What’s more, I had arrived with a patch of dry, red and irritated skin above my left eye and after the treatment the area was soothed and the redness virtually gone! I would highly recommend this treatment to anyone looking for a real relaxing and pampering treat with visible skin benefits but truth be told, if it’s relaxation you’re after, then you’ll find it in droves at Chelsea Clinic & Spa, no matter which treatment you choose. 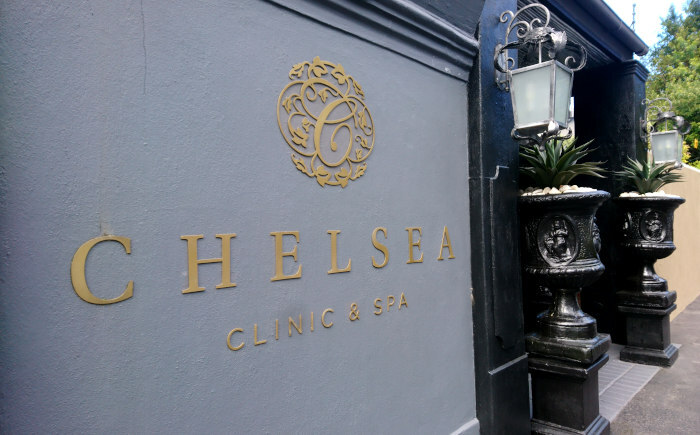 The Chelsea Luxury Facial is priced at R920 – for a full list of treatments and prices check out their price list here. 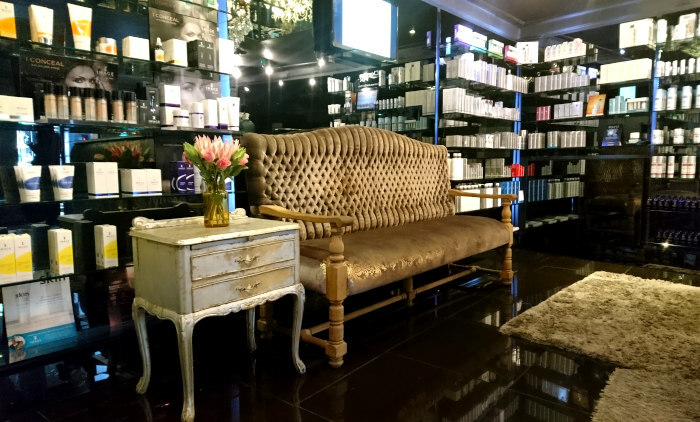 Find Chelsea Clinic & Spa at 51A Waterloo Rd, Wynberg, Cape Town. Want more beauty finds and reviews? 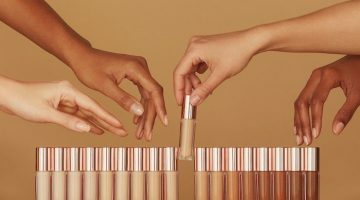 Check out our Beauty section for more news, reviews, and beauty tips. Previous post Cape Town's Favourite G&T on Tap is Now Available in 750ml Bottles!